In a 4 cup measuring jug, combine the wet ingredients and beat with a small hand whisk until a little frothy. Add the dried cranberries and zest and let it rest for 5-10 minutes in order for the berries to soak up some of the juice. Combine the above two sets of ingredients and then blend thoroughly until no lumps visible. Pour the batter into a well-greased baking tin. I used a 7 x 11-inch baking pan with its own divider which then provides you with 18 equal cubes of cake. If you prefer, sprinkle the top with oats and few extra cranberries. I only added the oats as I wanted to soak all the cranberries and added them in the batter. Bake at 350F for 25-30 minutes or until a toothpick inserted in the center comes out clean. 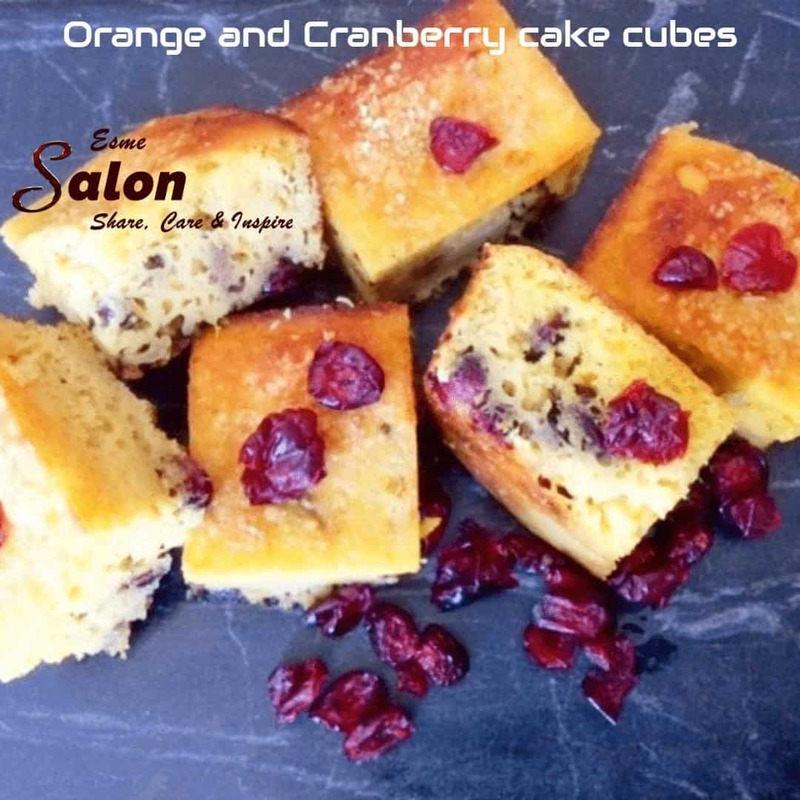 Let is rest until cold and then gently remove the baking/cutter from the cake and voila you have 12 wonderful delicious and moist Orange and Cranberry Cake cubes. Recipe Credit: Thank you Caashifa Adams Young for this Coconut Flour Orange and Cranberry Cake recipe. Although I made minor changes, I saw this recipe that you posted on another site and just had to try it.